When starting a wedding directory website, there are so many things you should consider. Afterall, a wedding directory website is a massive website with lots of data to be managed and maintained. Also, a directory website needs more time and efforts for development and designing. Before we start with the website building, we need to register the domain name as well as the hosting space. A domain is the address of your website. Before you can create and set up a website, you will need a domain name. To have your own registered website name, you will need to register your domain with a domain registrar. Think of a good name you want for your wedding Directory. A domain needs to be unique. Prepare a few variation just in case the domain name is taken by others. If your selected domain name is not taken yet you can purchase it instantly. Pay registration fees. You are now done with the domain registration process. Now you will need to point your domain name to your web hosting by changing its DNS records. I recommend Bluehost for your hosting requirements because it is affordable, reliable and has some really nice plans for any kind of website. Moreover, they offer WordPress optimizing hosting for better performance. Select a hosting plan that suits your wedding directory need. After choosing the hosting plan now choose if you have a pre-registered domain or not. If you already have one, you will be required to enter the domain name if you don’t have a registered domain name as I have mentioned previously which you want to link to your hosting. The next stage is the order summary and sign in to your account and make a payment. Now you can start building your wedding directory portal. Once your domain is done with propagation process, The time is to install the WordPress framework on your site. 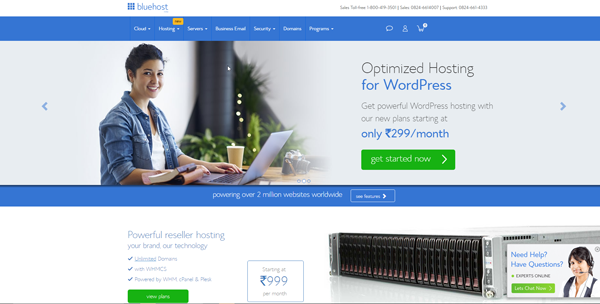 Follow the steps below to install WordPress on your website using Bluehost. 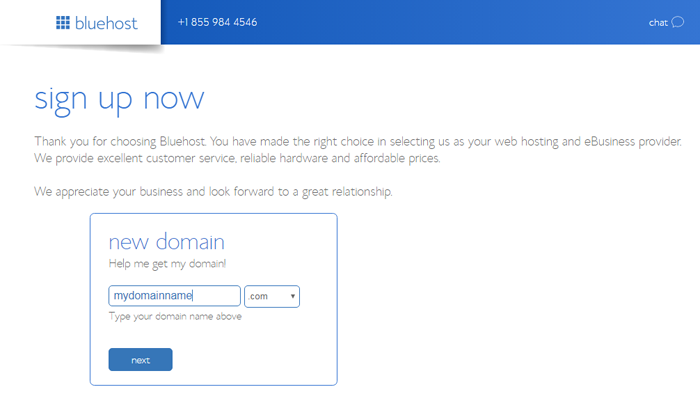 Log in to your Bluehost cPanel which you have purchased. Find the Website section & select Install WordPress. Choose the domain name on which you want to install WordPress. If necessary, you can edit your email address, username & password for your new WordPress installation. Now to create a wedding directory website, you can either choose a web directory builder solution or use a CMS. In this tutorial, I’m going to use a WordPress directory template to create an attractive and feature rich online wedding directory. Now is the time to start with the actual website making. We will use the Location Directory Template to create our Wedding Directory. Trying to design it by yourself can take days or weeks (or months!). But thankfully, we have the pre-designed and fully function WordPress templates to choose from. To create wedding directory, I’ve chosen the Location Directory software. Alternately, you can check out all the design variations for your WordPress Directory software here. 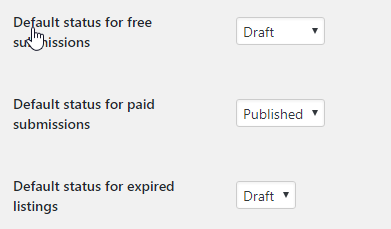 After installation is complete, you can verify your copy of the WordPress Directory software by entering your Licence key. Also, right after your theme is active and verified, you must install the sample data. The sample data makes your website look exactly like our location directory demo. 80% of your task is done once you have done with the installed process of the theme on your website.But then, no shoe fits all. So now we’ll customize our Wedding Directory. We’ll use the Location directory software as a Wedding Directory WordPress theme. It allows you to change the branding (logo), Site identity and color of the Wedding directory as per your need. The default theme color is pretty much suitable for the wedding directory. But if you want your own specific color and background of the site you can change it from customizer, very easily. Users who visit your website have 3 fundamental questions when they arrive at your website. Will I find my required data here? What do I do nowhere? So, One of your key tasks is to make sure that you do a good job at answering all these questions of your site visitors on each page of your website. The best thing about the Location template is it is capable of satisfying all the needs mentioned above. This means that you have to make it more attractive and according to the users need. Things to remember while creating your wedding directory homepage are as follows. Make it convenient for your directory visitors to find what they’re looking for (clear navigation, search etc on the home page). Make sure visitors know what options are available. (links like ‘View More Listings’, ‘Related products’, ‘Featured Listings’). Put everything on the homepage which becomes the mirror of your whole directory to decide the visitors their action. 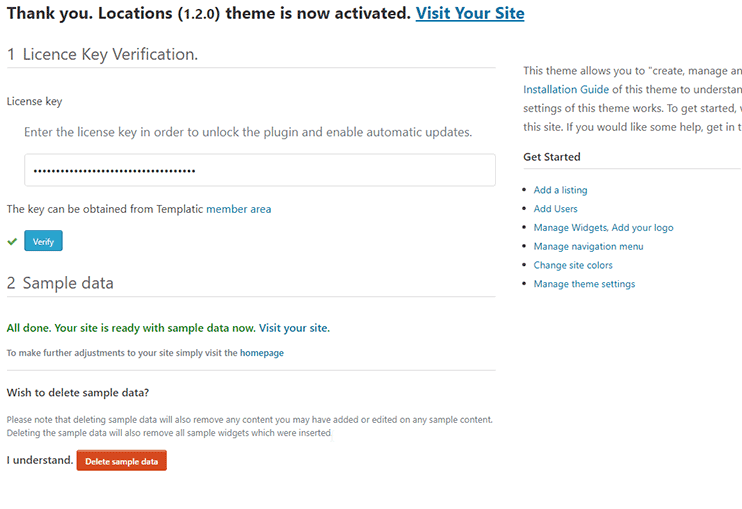 Next, you can update the menu of your website by logging in to your WordPress dashboard. You can add posts, listing category, custom links and pages to a menu using drag and drop functionality. Design your menu wisely, so the user can get to the specific category within few clicks. The best feature of the directory is where we can access verity of information on one site. To provide the variations and grouping the specific details makes it more meaningful. We need to bind the information in a specific category. The Locations directory has a widget to display the category with category-specific icons. as shown in the following screenshot. Where all the wedding-specific categories listed. So anyone can find a particular category-specific business listing by clicking on the main category. The icons can change to make it more meaningful, It will display on the map as a pinpoint to locate the address of that category on the map. So the detail page is the page where the service provider showcases his business/services information. The client can check the service detail and make contact with the provider. Even they can share with their contacts, Send inquiry for further detail to the service provider or take a print out of the detail if they need. The directory is a platform that connects the business owners and clients on one platform. The businesses can advertise and promote their service through your website and the visitors can find all the required services listed at one place. To make money through your Wedding directory you can start providing the paid listing submission. So if your wedding directory website has good traffic, the business owners (caterers, wedding planners, decorators, etc) can pay and have their business listed on your site. So when a visitor comes to your wedding directory to look for a service, they find them. The business listings can have the contact details that can make it easier for your visitors to reach a business. The Location template for the wedding directory has a feature to create all the pricing packages with different rates and conditions. You can specify the number of listings allowed under the package, the validity of each listing, the category under which the listing can be posted, etc. The guide has an in-depth explanation of how you can create the pricing package for your online directory website. 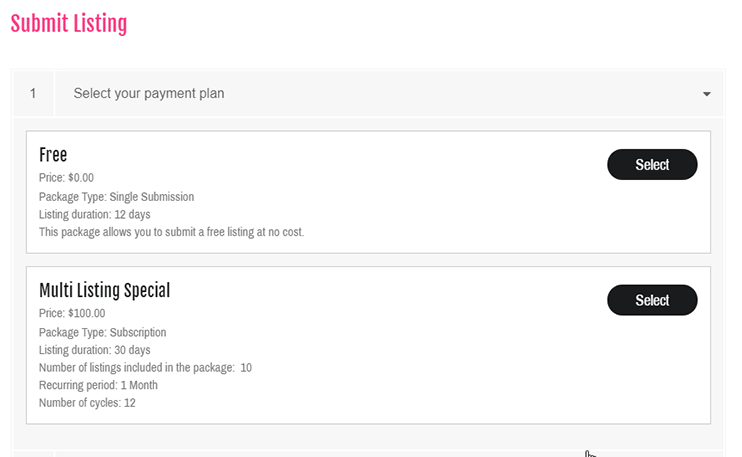 The pricing packages you create will be displayed on the front end when the visitors try to submit their listing. they can choose their package, and then submit their listing on your website. The site owner can make money by providing features to add the business listing on the front page as a featured. As well as on category page as a featured for a limited period of time. The site owner can also make money from the affiliate as well as google ad sense. By advertising and promoting the product/services on the directory site. The listing owner can claim the ownership of their listing on the site. 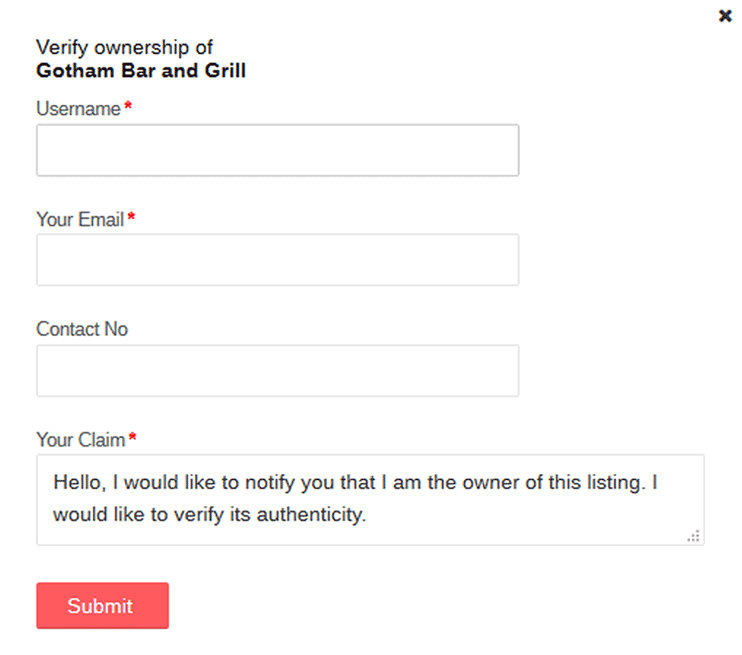 They can submit their claim by clicking on a button in the specific listing detail page. then this claim will be shown to the site administrator in the transactions. The site administrator can decide if he wants to grant the claim or not. After verifying the identity and the authenticity of the claim. The following are the routines that you must follow for regular maintenance of your WordPress wedding directory. Free WordPress plugins below can make it easier to promote online WP Directory. Additionally, The Locations WordPress template comes with a few inbuilt let your visitors share the pages/listings on your website. So if a visitor wants to share a listing on the social media, they can do with a button click. Another way to advertise is using the local channels and resources to make people aware of your directory website. Also, you can tell your business listing owner to promote their pages, share on their social media, etc. Besides, you can use digital channels like television, or email marketing to promote your website. Maintaining blogs and keeping people updated on your website. 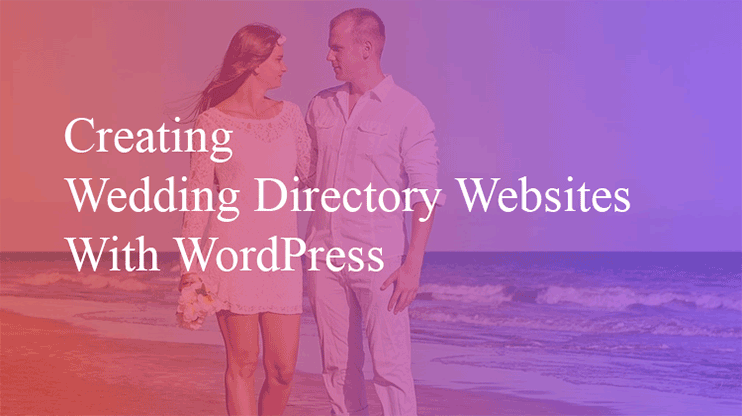 Besides, there are many other things that you can do to create your Wedding WordPress directory website. However, it’s not as difficult as it seems, isn’t it? With the steps mentioned above, you can create amazing wedding Directory website in just minutes. Here, all the visitors can find all the information at one stop. Your wedding directory website is a portal where the visitors can find the services they are looking for. While the related business gets a platform for advertising your website. Web directories are massive directories with massive traffic. Even simple ad monetization can work well with it. And once you start your directory website, the opportunities will be unlimited. So are you ready to start your own wedding directory yet? You may also like: How to start online directory in 45 minutes?